Is there a Nursing Shortage or Not? Google “nursing shortage,” and the number of hits describing the current shortage will convince you that it is real. The article pointed out that if unemployed nurses were willing to move to areas in need, they would be more likely to be hired. It looks like that strategy will work for the next few years, but a report by the US Health Resources Services Division estimates that there will be an excess of about 340,000 nurses by the year 2025. Here is how they figured this out. This chart shows how they calculated the projected oversupply. Futurists working at the Skeptical Scalpel Institute disagree. We predict that by 2025 we may need twice as many nurses in hospitals as we have now. With the exponential growth of rules and regulations and the complexities of electronic medical record, we anticipate the need for a new branch of nursing—the charting nurse. We predict that by 2025, there will be “doing nurses” (DNs), who will actually be at the bedside dispensing medications and caring for patients, and “charting nurses” (CNs), who will sit at nursing stations all day and document what the doing nurse is doing. This will be facilitated by direct verbal communication links between the two sets of nurses. Different educational pathways will be established for both types of nurses. For example, DNs might be graduates of diploma schools while CNs would probably need master’s or doctorate degrees in nursing and/or computer science. Or in another model, we think all nurses will be replaced by robots that are sentient (able to feel and perceive), and 3.8 million people will be job-hunting. 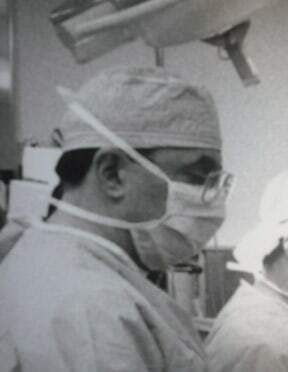 Skeptical Scalpel is a retired surgeon and was a surgical department chairman and residency program director for many years. He is board-certified in general surgery and critical care and has re-certified in both several times. He blogs at SkepticalScalpel.blogspot.com and tweets as @SkepticScalpel. Patient Falls Off OR Table: System Error? It’s always ironic how recent nurse graduates can’t find a job despite the shortage of nurses. I have a friend who works in a hospital and she always complains about the few numbers of nurses on duty at night. She always said that there should create the right staffing process to cater to the number of patients at a certain time. Well, I think the employment of additional nurses should also be considered. But I agree with her about the right staffing process, because nurses schedules should be equally distributed within the day in order to accomodate evey single patient. There is a shortage and there isn’t. That is, there is a shortage of nurses to fill the surplus of horrible nursing jobs out there; jobs where expectations and are unrealistic, working conditions are subpar, and pay and benefits are insulting. Overall, there is a surplus of nurses for good paying jobs that have good benefits. Jobs that have many applicants for one position so lots of experience, education, and credentials are expected. I found this article to be lacking in substance. The nursing classification “DN” and “CN” is ridiculous. The perception that Skeptical Scapel has about the role of nurses is sterotypical of a physician. I have been a nurse for 16 years, and I am glad SS is retired. I am an APRN, that has performed in several roles (from clinical to administrative) and have never been more offended. I can only hope that SS doesn’t spread their ignorance to other healthcare providers. I don’t know if you read the comments, but the majority of those who commented “got” the post. Most found it was not insulting and agreed with me. Many nurses (and doctors) complain about the excessive charting demands of the electronic record. I’m sorry you took it the wrong way. Nice post. Now a days, registered nurse career take a boom. New generation want to make career as a RN. In medial field has various jobs as a registered nurse jobs, so this is great for us. Thanks for sharing a good post. It’s really interesting to read the comments about lack of preparation for work in nursing. I suspected this might be the case, after deciding not to pursue retraining in Nursing, Consider rote memorization is not my strong suit. The idea that more book learning, is key to being a better nurse, was probably not getting the expected results. I hope their is no hard feelings, but I for one am voting for the robots, just after we replace the lawyers. I suppose future robots will have empathy. I hope so. SS: wow, did you hit a nerve, albeit one you weren’t aiming for! I appreciate your wry sense of humor and edge in posts like these. Jump into the Way Back Machine with me to my early days in my first job, which was critical care. I was a newly minted Diploma grad. The school I attended (or survived) was the St. Francis Hospital School of Nursing in Peoria (long story). The joke was they trained us to be doctors. We learned every medical test and how to interpret it, all the disease processes. When was the last time you saw Kwashiorkor in the middle of America? Our text books were medical school text books. Some of our instructors were PhDs. We had clinical assignments almost from week one. Our clinical instructors were slave drivers. We learned and practiced all the aspects of good nursing from thorough patient assessment, to exhaustive patient teaching, to how to give a decent bed bath, to hanging blood, recognising aberrant heart rhythms and acting before things go sideways. Our three years of school exceeded the number of hours of class and clinical work of all the BSN programs around at the time. The good news is we were a bunch of really smart cookies. Of course, we had no idea how prepared we were. I stepped into my first assignment thinking that if an experienced nurse wasn’t watching my every move, I would inadvertently kill someone! 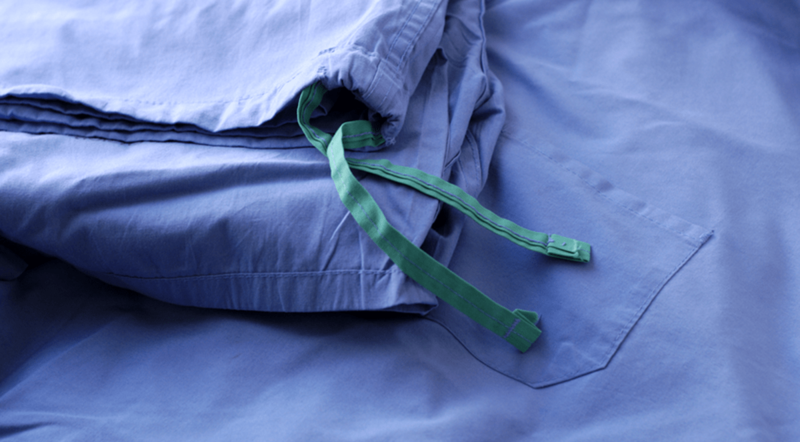 I was stunned that the BSNs hired with me had no idea how to function at the bedside. Never had hung blood, started an IV, and needed instruction in how to turn a patient, just for starters. We all had the theory, but that’s where the similarities ended. So, where am I going with this? Having a BSN does not automatically make a nurse a good nurse, just as having an MD doesn’t make a doctor a good doctor and that goes for any other field. I would like to think that today’s BSNs come into the clinical setting better prepared that they were when I was a newbie. I am not impressed with the nurses I see in this community or in the teaching hospitals where I’ve had procedures. Critical thinking seems a foreign concept and as you said, spending as little time at the bedside is the goal. I cannot imagine being a nurse and having no contact with the patient. That contact, afterall, is where the nurse performing the assessment and care picks up on subtle changes in the patient that can signal bad things to come and hopefully intervene to change the course of events. This should be easier to fix than the crap storm in the middle east, but is it? I hope this isn’t too disjointed and makes sense. Hard to maintain a train of thought on Mondays! Thank you for sharing your experiences. Critical thinking seems lost on the MD side as well. Just check those boxes. One big part of the change in the hospital-clinic jobs that traditionally had been nursing, now are being done by warm bodies who went to school for two weeks and learned a few necessary functions to accomplish what the employer wants them to do at a fraction od the nurse’s salary. Some of the local PCP in my area, they have a huge pratice, and the pcp only supervises the PA students, while his NP’s do the actual Dr’s visit. Could not figure out how to do and EKG. Then were unable to find the EKG 3 days later. Yes, they are cheaper than real nurses, and maybe nobody will notice the chain of screw-up that may cause real damage to some poor patient-victim. The wave of the future. In this particular office, the only BSN RN, functions as office manager, returning calls and renewing Rxs. Waste of education from my perspective. Some places already have individuales called “Scribes” that write the events of the ER visit, to alleviated the many screens had to be navigated (by the Doc) to document the visit. I am not sure how many scribes are in a given shift, and what exactly is their function or training. It gives an illusion of high rate of personnel in the ED, but their scope of practice is very limited. Your statement “charting nurses” (CNs), who will sit at nursing stations all day and document what the doing nurse is doing. Go sit at any nursing station and we already see CNs and CDs (Computer Nurses and Computer Doctors) in larger numbers than the working groups. It seems to be a badge of honor to work in a position that no patient interaction occurs. We may have a shortage of nurses and docs when it comes to actually doing patient care when compared to the better paying positions serving as bean counters and documenters of what was (or was not done) by the worker class of medical professional. We grow what we pay. It seems it pays less to do the work than to record what the worker is doing. We may use the rationalization of increasingly complex guidelines and regulations, but we are complicit when we do not value the actual patient care and outcomes ahead of some artificial measurement which exists often because it is easy to record and not because it improves the outcome for the patient. Rosy, thanks for your observations. “Badge of honor” is a good way to put it. I think you are right that some people are happy to do nothing put tick off boxes. To the person who called me a name, I did not post your comment. We don’t do name calling on this website. Also, see my response to Mary Weiss above. I wonder the nurses will be replaced robots, or they become even more powerful than MD, when they being hired by the HP to move forward to the Universal Health Care plan, these Nurses will act as more as ” big boss” to the Doctors, and demand Doctors do things for what “so called NCQA, CMS, MediCal, Heath Plan” rule and regulation; However, these standard rules being interpret differently among these nurses. And the trend of switching role growing within the communities without microscopic view and analyze to ensure how long the doctors can handle these behaviors…….. I am worry more on the Doctor shortage (Family Doctors, General Practice, Pediatrics) issue might be related to these rules and regulation pressure by these Nurses’ behavior when the power hang over to their hands (auditors) than these nurses can’t find their jobs. And it is truly happening now. Thanks for the comment. I’m not so sure there is really a doctor shortage. That’s a complex subject too. Family medicine may be taken over by APRNs and PAs. There may not be a need for so many general internists or family practitioners in the future. This is wrong. FYI. There are no diploma nursing schools anymore and without a bachelors degree you cannot get a hospital job. A degree in computer science will not make you a nurse. Perhaps being a retired surgeon who even comments that nurses will be replaced by robots would enjoy that future but be careful what you suggest. You may also be a patient cared for by nurses who do not do document their own care or robots. The professional level of collaboration and respect for other health care providers is not demonstrated in your essay. A sad statement for 2015, from any physician-even retired. Get them to follow u on t! Sure hope some of this in jest as DD in last yr of BSN on my $, lol. Magnet hospitals (& those aspiring to) hire only BSNs, others may require less education. Ah for the good ol’ Navy/Cook County days of the wards with 40+ pts & one? RN on 7-3! There wasn’t as much charting to do back in the day. Whoa. Lighten up a little. First of all, there are still diploma nursing schools. Here is a link to just one of many http://www.bridgeporthospital.org/bhsn/programs/DiplomainNursing/default.aspx. Google “diploma nursing schools” and see for yourself. Second, I agree that you can’t get a hospital job without a BSN. And I personally know of some BSN new Graduates who can’t find hospital jobs. Also, see the quote I cited in the post. Third, the latter half of this post was tongue-in-cheek. There are no futurists at the Skeptical Scalpel Institute, and there is no Skeptical Scalpel Institute. I work in a magnet hospital and I do hold a BSN degree but not all of the nurses I work with have that degree. We DO hire associate degreed nurses. My hospital strongly encourages nurses to pursue advanced degrees and will even pay the tuition under certain conditions. We also have a 6 month internship for new grads. It is not true that hospitals don’t hire new grads or nurses without a BSN or without experience. SOME hospitals don’t, not all of them. If you live in an area where they don’t, good luck to those chosen few who are attempting to take care of too many patients without enough nurses. Their hospital administrators are happy to let them continue in that vein. And by the way, I have been a nurse for 20 years and I got my BSN in 2011 thinking I would make more money. I’m still paying student loans and I have not earned one thin dime extra as a result of having that degree. I specialize in emergency and critical care but none of it matters, I’m just another warm body. Working on my masters now and planning to leave the bedside but not for more money- I’m doing it to get far away from bedside nursing. Thank you for your illuminating comments. Where I live, it is almost impossible for nurse without a BSN to get a job in a hospital. The fact that you got your BSN 5 years ago and didn’t make more money is interesting. I’d love to hear more about why you want to get away from bedside nursing. There are still hundreds of ADN schools across the nation. In DFW alone there are 4. Also, I believe the article is correct. With community paramedicine and medics being allowed to use their full scope of practice in the hospital, nursing crowding is going to be a huge problem. In 2012 I applied for a med surg spot at a small local hospital with my brand new ADN, one year of critical care paramedicine practice, 3 years as an emt and got the job that week. The new girls all tell me they looked for 3+ months and some live an hour or more away. That’s only 5 years. John, thank you for backing me up about diploma nursing schools and the difficulty that some are having finding jobs.